This selection of electric chain hoists have been optimised for use in applications within a clean room environment. WHEN DOES YOUR HOIST NEED A GENERAL OVERHAUL OR TO BE REPLACED? 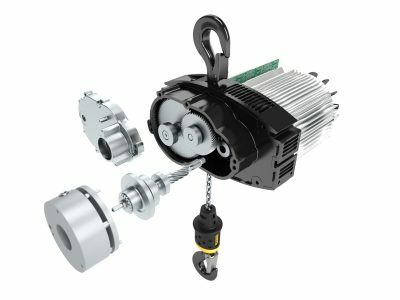 Hoists, whether they are electric chain hoists, manual chain hoists, electric wire rope hoists or electric belt hoists are all manufactured with 10 years of serviceable life before a major overhaul or replacement is required. The ten year service life may not necessarily be a physical ten years of operation, but may be used up more quickly or slowly based on how the machine is being operated during its working life. 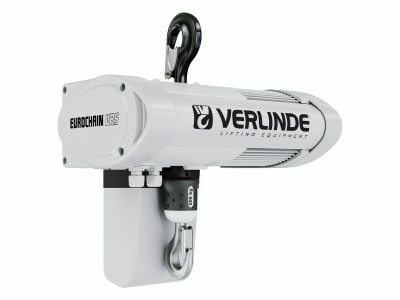 In order to help evaluate the working life of a hoist you need to be able to calculate how much of the original manufacturers Safe Working Period exists after your lifting operations have occurred.